The South Lake Tahoe beaches are the place to be during the summer. As the largest alpine lake in North america, Lake Tahoe is an ideal summertime beach vacation. 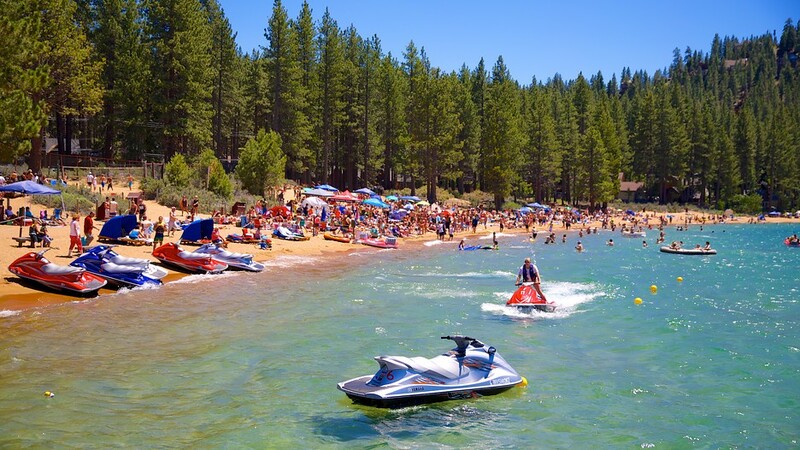 Whether you’re looking for the party or the perfect place to take your dog and relax, there is a beach for you on Lake Tahoe! Kiva Beach – this large open beach is fairly secluded with a beautiful meadow backdrop, just a short hike in makes for a nice relaxing day at the beach. Kiva beach is one of the only beaches in South Lake Tahoe that allows dogs. Baldwin Beach – Very easy beach access makes Baldwin beach ideal for beach goers toting rafts, kayaks and other water toys. Parking is $7.00 and has nearby public restrooms. Lakeside Beach – Lakeside Beach has it all! It’s a perfect swimming spot, ideal for picnics on the sands or to eat and drink at the adjacent Lakeside Beach Grill. The beach has breakwaters to protect swimmers, a restaurant, children’s play equipment, a volleyball net, restful benches, picnic tables, a restroom and is monitored by a lifeguard. Umbrellas and chairs can be rented on site. Boat, jet ski and other rentals are available as well as at the adjacent Lakeside Marina. El Dorado Beach – At the center of South Lake Tahoe is El Dorado Beach (also known as Commons Beach) This beach is awesome as it allows beach-goers to sun themselves on the large beach and tiered wall with lots of places to sit and take in the view. There is a roped off swim area that is fairly shallow for the kiddos and the El Dorado boat ramp is available to put your non motorized watercraft in the lake. Camp Richardson – Camp Richardson AKA Camp Rich, is a historic resort and marina in South Lake Tahoe. From camping, to hiking, biking, and beach play, Camp Rich boasts a lively beach atmosphere. Come here to people watch and play or doc your boat and enjoy the live music and rum runners at The Beacon, perfectly located right on the beach! Our friends over at Sunset Magazine know a thing or two about travel, so when it comes to their take on Tahoe we’re all ears! Head on over to Sunset to learn what they think about the Tahoe scene, lake activities, dining, lodging and more! 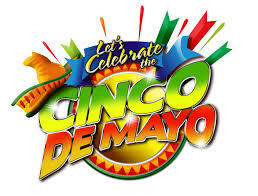 After the excitement of Cinco de Mayo has worn off, the city of South lake Tahoe gets ready for another round of fabulous events for the duration of the month of May. Inspired by the biggest star to ever live, Moonwalker takes the audience on a musical journey into Michael Jackson’s genius. The year 2014 marks the 44th Anniversary of perennial classic-rock favorite, America. Ride with us in Celebration of California and Nevada’s ONLY BI-STATE HISTORIC EVENT!! 5/31-6/1 & 6/7-6/8. Renaissance Productions Transforms Camp Richardson to a Giant Stage, actors and hundreds of street-and-stage performers bring the magic of a lost age to life.